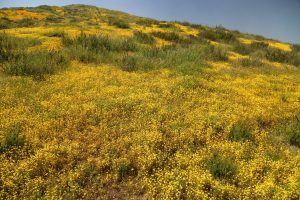 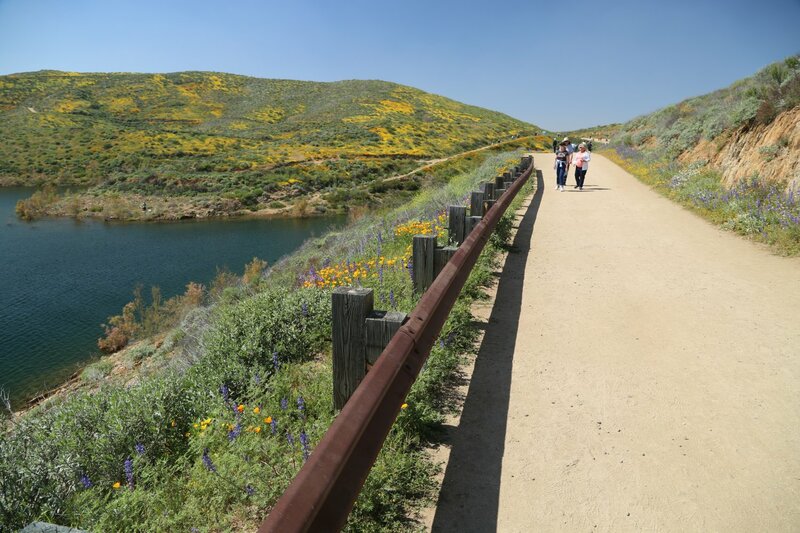 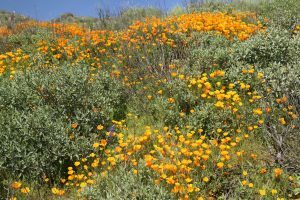 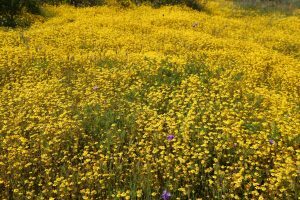 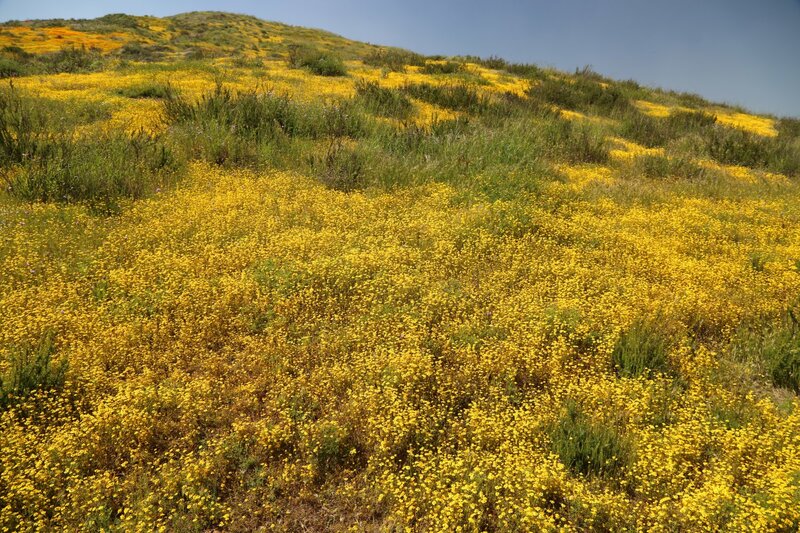 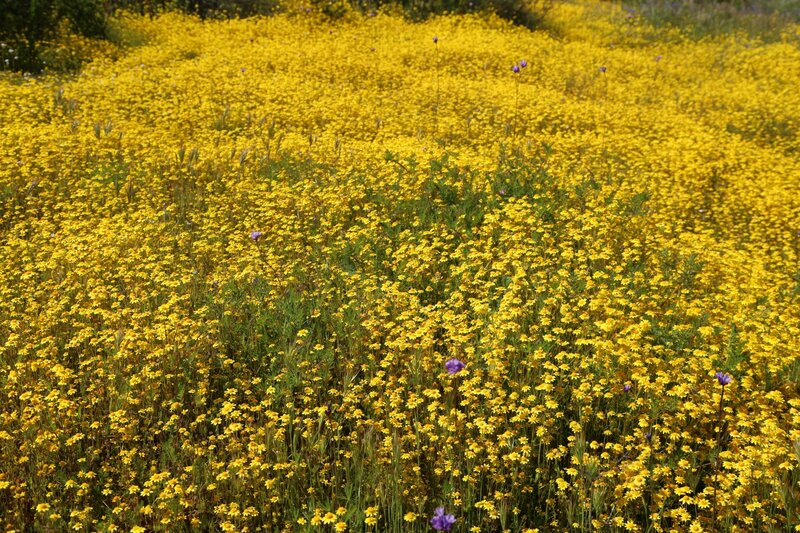 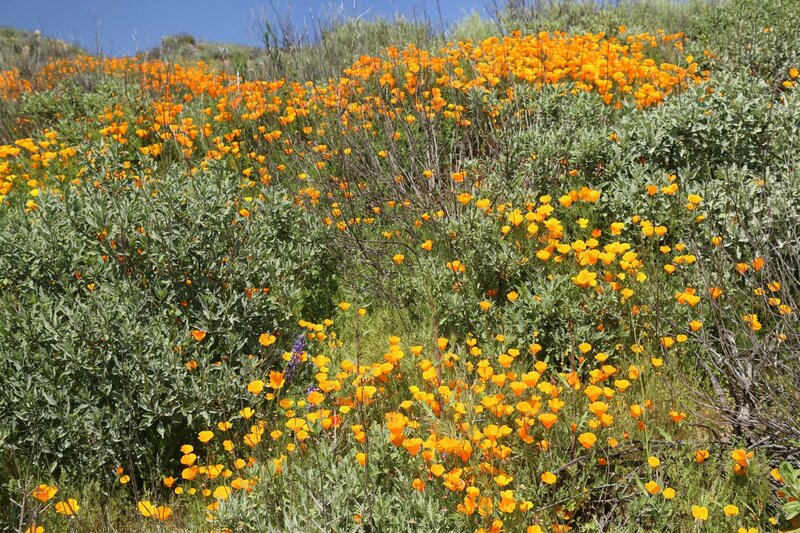 Hemet, CA (March 2019)—The largest super bloom in over a decade has finally arrived at Diamond Valley Lake in Hemet, California. 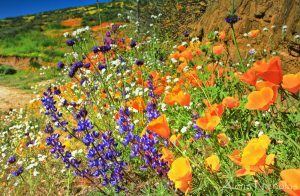 According to officials, the most jaw-dropping views of the super bloom, caused by record rains, are from the Wildflower Trail, accessible from the Diamond Valley Lake Marina. 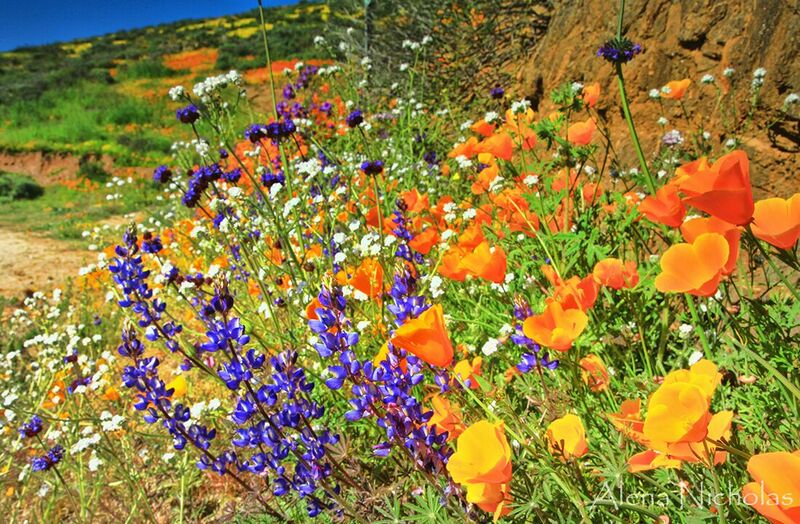 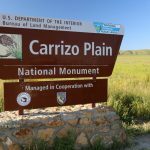 Park officials recommend coming mid-week to avoid crowds, and ask visitors to please stay on the trail to protect the flowers. 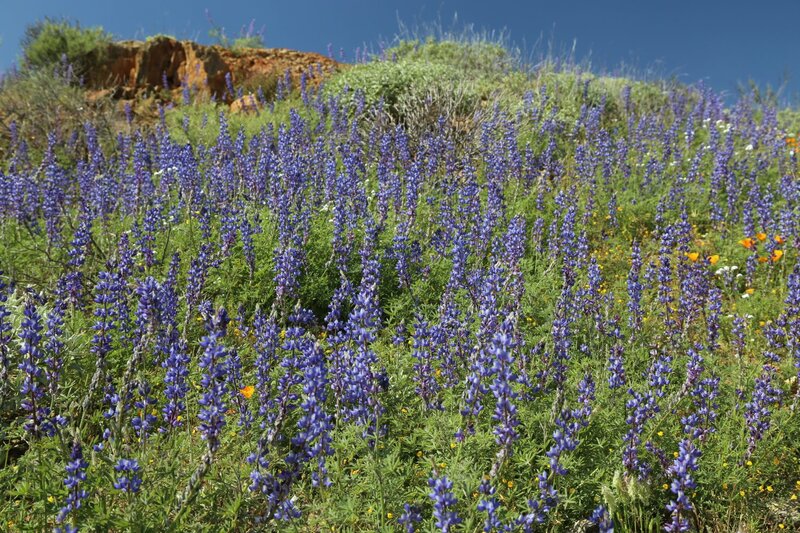 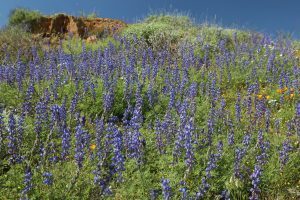 The seasonal Wildflower Trail, located in the Southwestern Riverside County Multi-Species Reserve protected area, and open Wednesdays through Sundays, is bursting color, from red Indian Paintbrush flowers and yellow Tidy Tips sunflowers to deep pink Red Maids, orange California poppies, blue arroyo lupines, purple Canterbury bells and white Forget-Me-Nots. 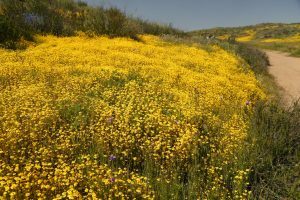 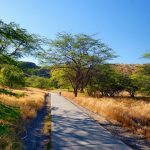 The flowers should last through April along the hillsides of the lake trail, a 1.3-mile loop that is considered easy to moderate. 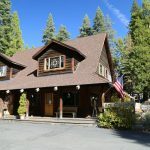 Visitors to the lake can now enjoy new Improvements, including new, permanent marina restrooms (MWDSC made the improvements for the bathroom. 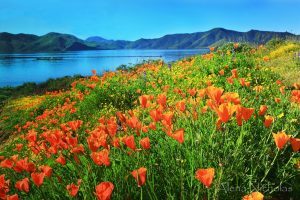 Diamond Valley Lake is a drinking water reservoir built, owned and operated by The Metropolitan Water District of Southern California). Basecamp, which runs the concessions, says entry fees into the marina are $10 per car, and trail access costs $3 per person—and includes a map of the wildflowers and wildflower guide. 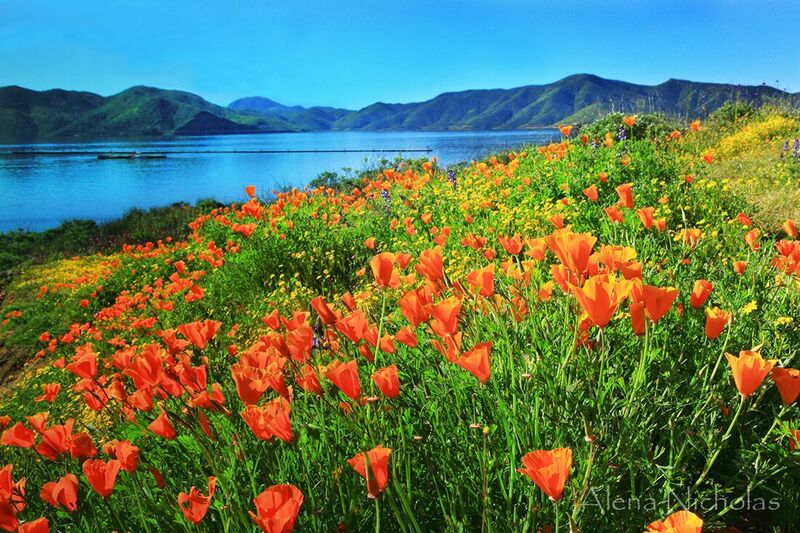 You can also view the flowers by renting one of the bass or pontoon boats, for fishing or relaxing, at the marina.